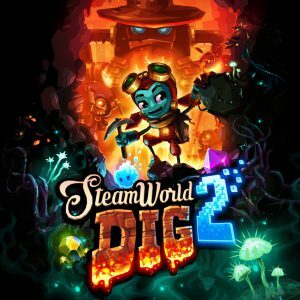 SteamWorld Dig 2 is a sequel to, you guessed it, SteamWorld Dig, which has previously released in 2013. 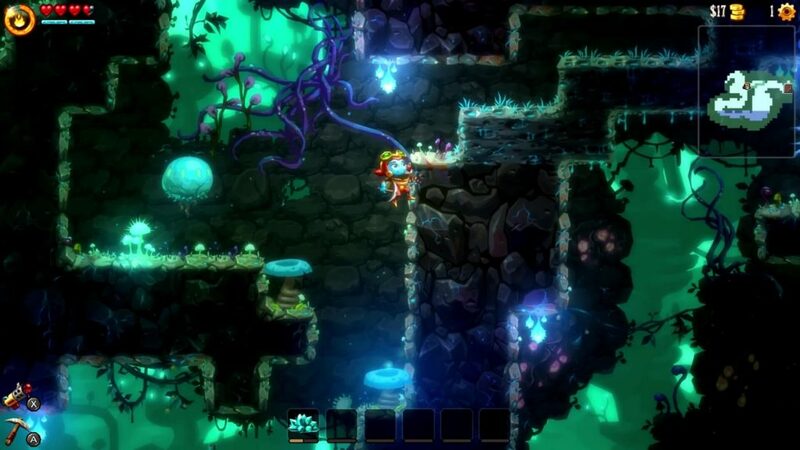 Like the previous game, it can be described as a mix between Metroidvania and Terraria. Your goal is to dig down as far as possible into the ground to uncover the mysteries of the world and collect a bunch of items on the way to help you out. 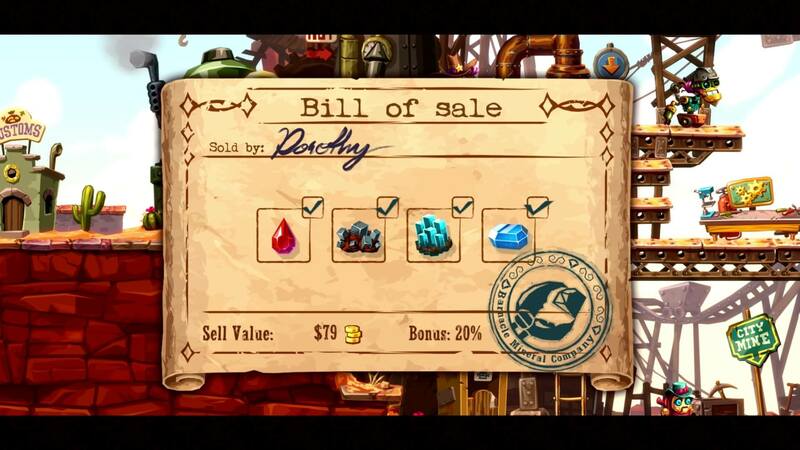 Through your digging, you receive ores and gems, which you can sell for cash on the surface. 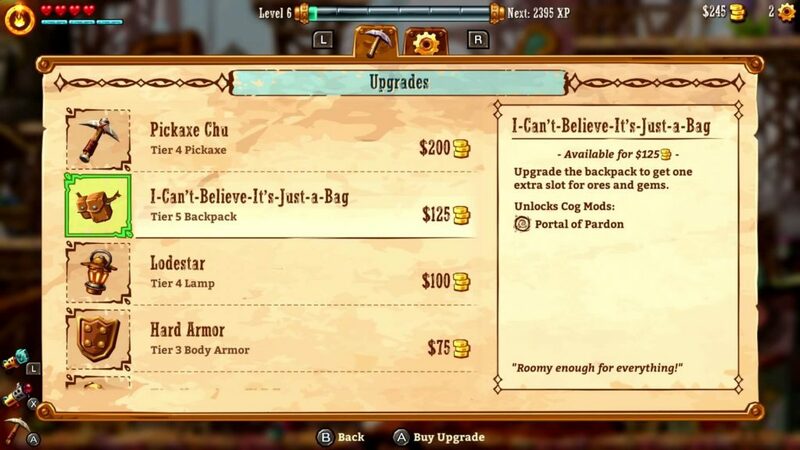 With this cash, you can then buy upgrades that can let you dig deeper, allow you to collect and carry more stuff or give you a variety of offensive and defensive bonuses. This cycle of digging, collecting, upgrading and then collecting some more is the staple of the game and it definitely makes the most out of it. Before we get deeper into it, let’s dicuss the story and the atmosphere of the game first. When it comes to the atmosphere of the game, it is simply put great. The artwork is top-notch and ambient soundtrack fits each location and situation very well. There is a lot of variety in the environment here too, which gets you to explore differently themed mineshafts that are all connected to each other. The game’s map is a lot more horizontal than the straight up vertical shaft of the previous game though. While this means you lose the epic feeling of digging down a single extremely deep mine, this horizontal structure offers multiple mine shafts and encourages further exploration. It’s dangerous to go alone. Take this lamp, backpack and my pickaxe! The exploration aspect is something that is done extremely well in this game as you will always be rewarded for doing so. See something that you might be able to climb? Go for it, there might just be an unlockable there or gears with which can enable some upgrades. Each exploration ends with a reward; this is great and we’ll be talking more about the gameplay and reward structure later. The story of the game is our biggest critique point. 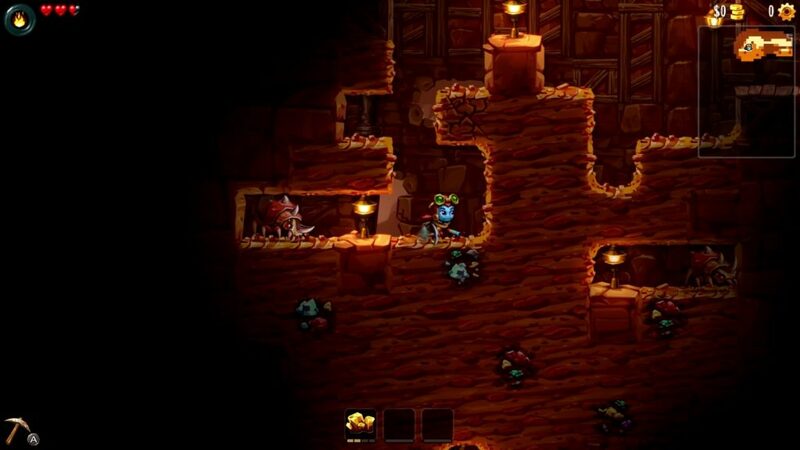 While the game is the second game in the SteamWorld Dig series, it is actually part of a bigger universe, which includes SteamWorld Tower Defense and SteamWorld Heist. 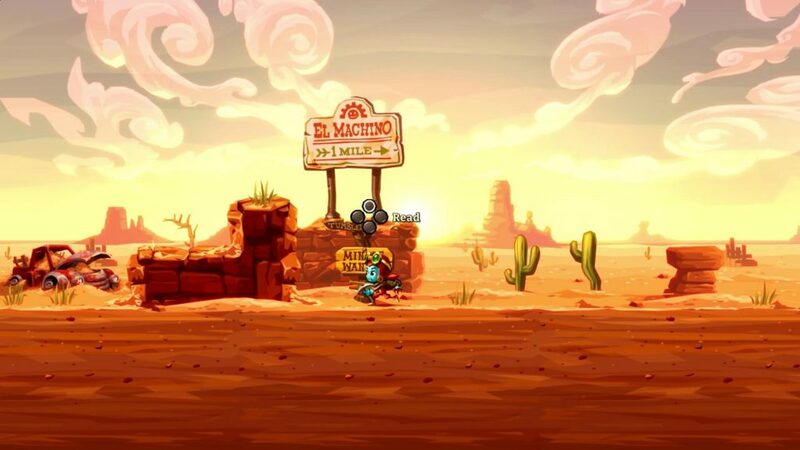 The game is therefore a prequel to SteamWorld Heist and is therefore a bit limited in its story. To set things up first, the game takes place shortly after the original SteamWorld Dig, where its main protagonist Rusty has gone missing. You play as the shopkeeper of the original title Dorothy on a quest to find Rusty. This brings you to start your own digging adventure and you will uncover the mysteries of the earthquakes currently plaguing the miner’s town El Machino. The story then unfolds through a single main quest, which has you do objective after objective all about mining and digging deeper. Once you complete an objective, the citizens of El Machino will have some dialogue corresponding to the current events for you, which is signaled by a little speech bubble. The frequency at which a lot of the characters get dialogue lines is too much though. There are too many characters and for the little significance that the text has, it feels more like a chore to talk to all of them. This is why we ended up skipping over the text somewhat and focusing instead on the gameplay, which was definitely the right choice. With the many characters the game had, barely any of them stood out. It would have been better to put more focus on a few key characters and let only them have regular new dialogue. Something that was also a bit absent was their significance. Bar the shopkeepers, the archeologist and the mayor, hardly any of them were relevant. The main quest was mainly progressing through interactions with the mayor. The opportunity here would have been to include some of the other characters in the main objectives. For example the shopkeeper could have required you to go to a certain area to get a rare ingredient, which could then lead into the main story being unfolded from there. Even a couple of side quests might have gotten us to care more about the villagers of El Machino. The game’s biggest downfall is therefore its story, as the lack of significance of the side characters and the way too straightforward story makes it much less intriguing than it could be. Now to the gameplay and you are in for a treat there. As mentioned earlier, the game is mainly about digging a mine shaft and collecting stuff along the way to help you out, a Metroidvania and Minecraft blend so to speak. While you are digging down by hitting blocks, you will mainly collect ores and gems. You can then sell these on the surface for cash with which you can then buy upgrades for your pickaxe to make it dig faster or other upgrades such as more health or a better lamp. Sell your collected ores …. … and buy some upgrades afterwards. If you look closely, there are a bunch of puns hidden within them. This is the basis of the play and reward structure and it becomes better from there on out. You gain experience points by completing quests or defeating enemies. Once you level up, you get a 5% bonus to the money you get from selling minerals, which stacks up further with each additional level. This results in you being very motivated to defeat enemies, because you are always rewarded for it. The upgrades you can buy with money are always worth it. This adds onto the spoils you get from exploration and we really want to reiterate this statement: every action you take will benefit you in some way. 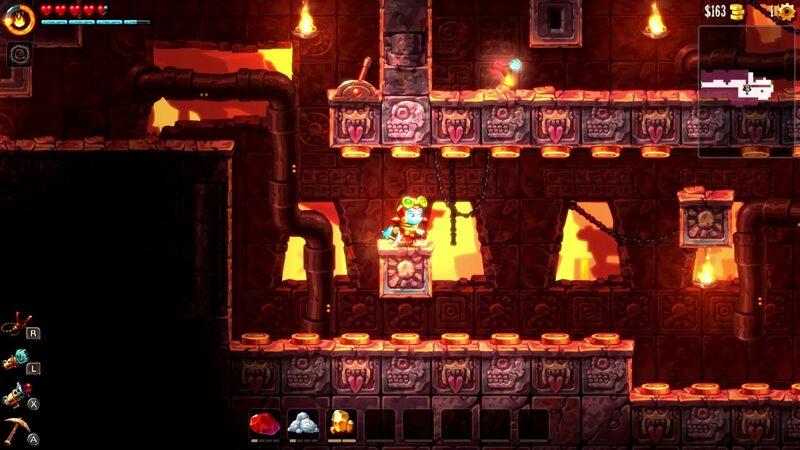 While a great reward structure is key for a great game, the gameplay itself needs to be good too and in the case of SteamWorld Dig 2, it definitely is. The controls are smooth and work great and you can even rebind them in the options menu. The only thing that was a bit off there were the prompts that asked you to look up as we mistook them for a face button prompt. This really does look like it requires you to press the X-button rather than to look up. Avoid hitting any of the buttons here, otherwise you’d have to do this whole section again. After digging around a bit, you will find caves. These caves all have a name and a certain theme; you could compare these to mini dungeons or shrines in Zelda games. A mechanic is introduced to you, either a mechanical challenge or a puzzle, for example the floor is lava. The entire floor and most of the walls are filled with buttons in this example. If you hit them, the gate closes and you need to reopen it again with a lever that is situated right before the section. What makes the caves good here is that you always get an easy section to try out and learn the mechanic at first and afterwards a more challenging and refined version of the same element. If you complete the challenge very well, you may even find optional treasures like artifacts that help you unlock more upgrades or gears that allow you to enable those upgrades. All in all, the caves are challenging, but allow you to understand them quickly and therefore enable a great gameplay experience. The game also features quite a decent enemy variety and we were especially impressed to what extent their mechanics are used. One mechanic involved a wizard that spawns flying fireballs at your location. To solve a puzzle, you had to first get close enough to the wizard for him to spawn the fireball and then make sure to get it through a tile that respawns after destroying it. Then the fireball can hit a robot, which can then move out of the way so you can progress further. This combination of observational logic is brutally fun and the only thing that is missing here would be the little jingle from Zelda that plays after solving a puzzle. Many things like this are done so well by the game and it even has a lot of quality of life additions in it. For example, you unlock fast travel points as you traverse the world and entering them, you can select the home town, where you can sell your ores, instantly by pressing the top face button. Afterwards, the game saves your last location, which you can once again quickly access by pressing the button again. This saves you from having to search for your position on the map and is a very nice touch. Further, once you find all the treasure in a cave, the cave will be marked as complete on the map. This makes it very easy for you to know where to look for more treasure. All in all, the gameplay is insanely enjoyable and always a blast. Due to its quality and reward structure and good alternation between digging, puzzling and action, it was very satisfying to play. We can definitely say that the developers really know what they’re doing. In times of microtransactions, DLC and other weird business practices, we at Red Value Gaming felt that a single review score was too little to accurately determine if you should buy the game. That is why we implemented the value rating, which states at what price the title is worth buying for. Anything surrounding the business of a game, be it aggressive microtransactions or things like the length of the game, are evaluated in the value rating. This means that our review score can focus entirely on the quality of the game and will keep anything surrounding its business out of it. Our review score is therefore a direct reflection of the quality of the game, while still enabling us to warn you of an immediate purchase if it is subpar in certain categories or business decisions. For more information on the value, check out our “How it works” post. You can even vote yourself on how much you would pay for the game down below above the commenting section. So in conclusion, with a great and fitting atmosphere, tight controls and a great reward structure, we deem the game to get a fantastic score of 90. We can really recommend this game to anyone who enjoys exploration, puzzles and platforming but if you require a deep and rich storyline, you might want to hold off on this game. To the value, while the game is fantastic, its 6 to 8 hour playtime is a bit too short to justify the $20 pricetag. If you are on a budget, maybe get it on a light price dip at around $16. The game features some replayability though by unlocking upgrades that can make the game a bit harder, so you might be able to find some additional value there. 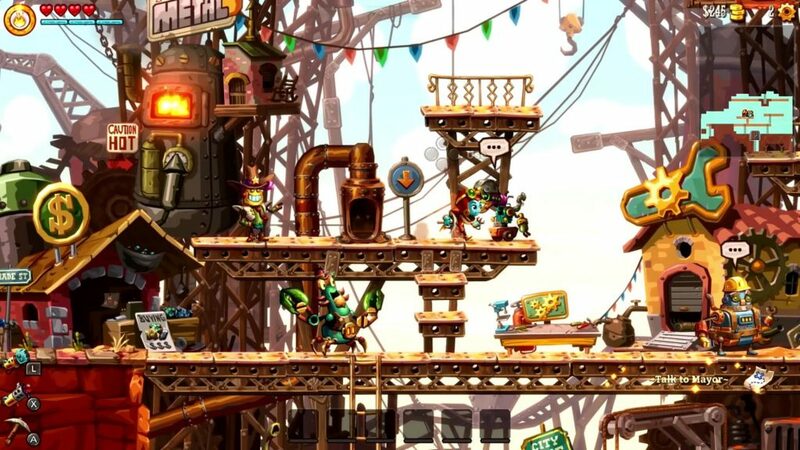 SteamWorld Dig 2 has absolutely fantastic gameplay that builds on well onto the already strong gameplay of the original. Unless you dislike platformers, you should put this game onto your radar.